 Perth Wild Cats Captain and Chevron City to Surf for Activ Ambassador, Damian Martin, chats to REDFM about why the Chevron City to Surf for Activ is such an extraordinary, family-friendly event. Damian explains the importance of this fun run hitting the regional areas as well as the great opportunity it provides to say thank you to Activ for the amazing support they give people living with a disability in our community. If you were sitting on the fence about participating, rest assured Damian’s interview will inspire you to get your running kit on!